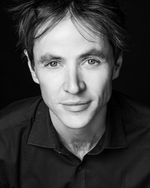 Luke Byrne is a Sydney-based composer, musical director and pianist. Recent commissions include Capricorn and Desert Sea for Sydney Philharmonia, Storm Bird, Buruwan Elegy and Birinyi for Gondwana Indigenous Children's Choir with the Australian Chamber Orchestra and Where Sails Once Flew for Adelaide Chamber Singers. Luke arranged the national anthems for the 2015 Netball World Cup and in 2012 was composer-in-residence for Sydney Children's Choir. In 2018, Luke's musical Between the Sea and Sky was selected for the New York Musical Festival where it won awards including Best Musical and Outstanding Music. Luke is also a musical director in theatre, and in 2018 was the musical director for Sydney Theatre Company's The Harp in the South. Other credits include Muriel's Wedding and Chimerica (Sydney Theatre Company), The Events for Sydney Festival/Belvoir/Malthouse, Hamlet (Belvoir), The Adventures of Snugglepot and Cuddlepie (Belvoir/Sydney Festival) Big Fish (Hayes Theatre), and The World's Wife (Melbourne Theatre Company). Travelling companion : treble choir with piano (2012) Commissioned as part of the 2012 Composer-in-Residence program, in association with the Powerhouse Museum. Composed for the Elena Kats-Chernin and Stephen Leek Choirs. Kites : treble choir with piano (2012) Commissioned as part of the 2012 Composer-in-Residence program, in association with the Powerhouse Museum. Composed for the Paul Jarman and Dan Walker Choirs. The number one train : for unison treble choir and piano (2012) Commissioned as part of the 2012 Sydney Children's Choir Composer-in-Residence program, in association with the Powerhouse Museum. Composed for the Paul Stanhope, Michael Atherton and Joseph Twist Choirs. Tengo : a Spanish lesson, for treble choir and piano (2010) Commissioned for the Moorambilla Boys Choir and Tango Oz, for performance at the 2010 Moorambilla Festival.